Founded in 2005, well before the recent boom in British brewing, some consider Thornbridge the UK’s first “craft” brewery. Since then, Thornbridge has moved to a bigger facility in Bakewell, Derbyshire and won over both traditional ale drinkers and craft beer enthusiasts with its range of cask, keg and bottled beers. It still develops new beers at its original brewery at Thornbridge Hall. Thornbridge’s motto is “Innovation, Passion, Knowledge” – three things a brewery needs in buckets to produce a decent alcohol-free beer. Unlike the “non-alcoholic” beers from breweries like St Peter’s Brewery, Innis and Gunn and Leeds Brewery, Thornbridge’s alcohol-free beer “Big Easy” contains a little alcohol (0.5%). So it’s not subject to licensing laws and, as with all beers under 0.5%, won’t get you anywhere near drunk. It uses American hops (Amarillo and Cascade) along with pale ale, crystal and Munich malts. Presumably, the brewers have either halted fermentation early or used a yeast that produces a smaller amount of alcohol. 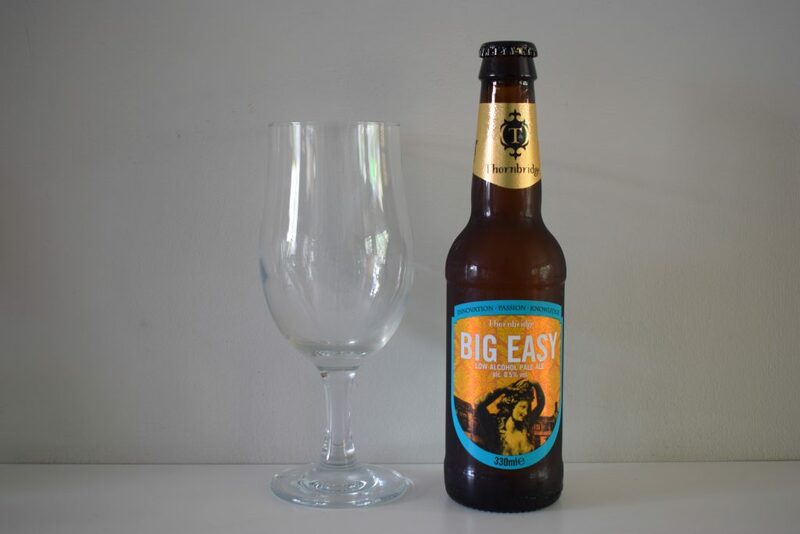 Big Easy pours a deep amber, with a foaming head that quickly disappears leaving a few white bubbles wandering on the surface looking to cling on the side of the glass. The aroma is initially dominated by malty caramel, but there’s a smidgen of mango or lychee in there too with a delicate sweetness. I also detected a bit of a soapy or metallic aroma. This wasn’t off-putting, but it did make it feel like there was something missing when I took a whiff. In the mouth, Big Easy is highly carbonated with tight bubbles. It’s thin and only has a bit more stickiness than a soda water. The carbonation was a bit too much for me and, along with the lack of body, gave me the illusion of drinking a flavoured water rather than a beer. Flavour wise, it’s malty but with less caramel than promised on the nose. 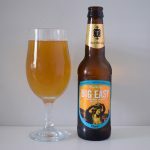 The bitterness, which leads onto some lemon and grapefruit flavours mixed with the malt, hit me quite hard on the first sips but I soon got used to it. The bitterness lingers in the finish, which is quite dry and a little metallic. Despite sweetness in the aroma, I didn’t detect much in the taste. 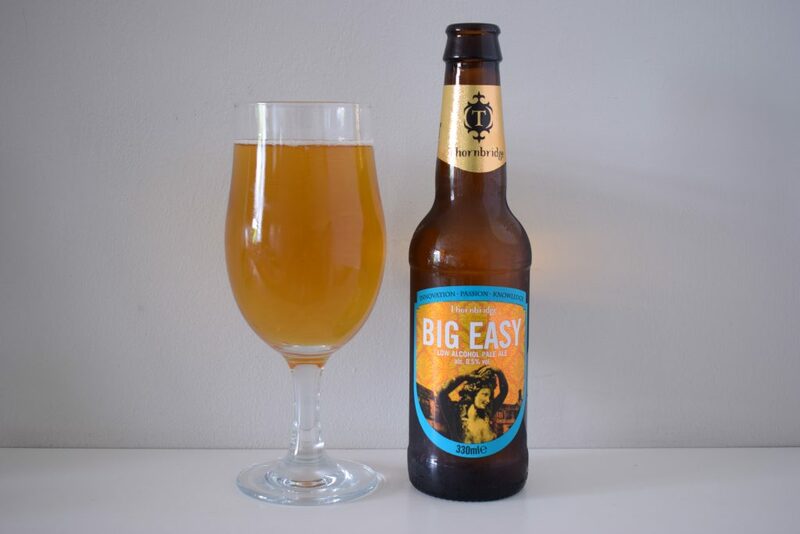 Big Easy has potential, but it’s not quite in the same league as similar tasting alcohol-free pale ales like Brewdog’s “Nanny State” and Infinite Session’s “Pale“. The body was a particular let down. However, its still a good alternative to sugary soft drinks if you’re a beer drinker. And it doesn’t have the dreaded wortiness and grainy flavours that let so many alcohol-free beers down.